The migrants were picked up off the western Turkish district of Kusadasi, near the Greek island of Samos, on Tuesday. They were traveling on a rubber boat when they experienced distress at sea. According to its statement, the Turkish coastguard received an alert about stranded migrants at 4:45 in the morning and deployed three boats and a helicopter to the area. They found the migrants‘ boat already half-submerged, according to dpa. The coastguard’s statement did not mention the nationalities of the rescued migrants, but the private Turkish news agency DHA reported that they were from Iraq. According to DHA, several survivors – including women and children – were taken to hospital. 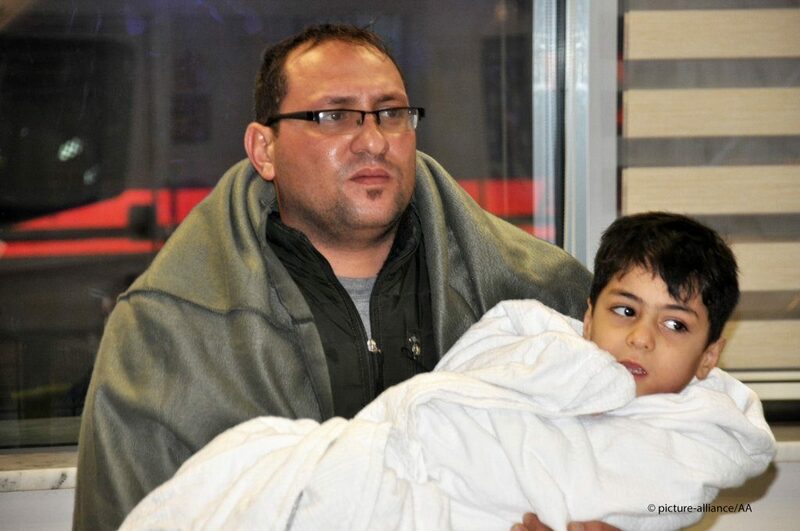 Via Hürriyet Daily News – Iraqi migrant Mohammed Fadil, whose 4-year-old daughter’s body was recovered, claimed that Greek naval officers were responsible for the incident. A boat belonging to the Greek Coast Guard Command stopped us in open sea, Fadil told reporters at the Kuşadası State Hospital. “There were strong waves. We thought they came to save us. They told us to cut the engine. They tied our boat to theirs with a rope, and then they started to turn us in circles,” Fadil said. “It was so inhumane. They tried to kill us,” he added. The articles above were originally published by InfoMigrants and Hurriyet Daily News.